HÀ NỘI — The central province of Thừa Thiên-Huế has attracted 11 more projects with total registered capital of over VNĐ2.18 trillion (US$96 million) during the first ten months of this year. So far, industrial parks (IPs) and economic zones (EZs) in the province have attracted a total of 147 projects with total registered capital of VNĐ65.75 trillion. This includes 34 foreign-invested projects with total registered capital of $1.37 billion. 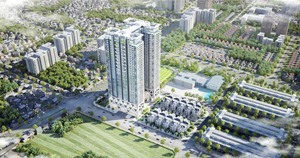 Notable licensed projects include the Suối Voi ecological tourist project, invested in by Hoa Lư-Huế Investment, Trading and Service Co Ltd, with registered capital of VNĐ218.2 billion, spanning an area of 51.1ha. The other is a granite tile factory, owned by Vitto Phú Lộc Company, with a capacity of 7.2 million sq.m of tile per year and registered capital of VNĐ610.9 billion, spanning an area of ​​10ha. Of the total registered capital poured into the province in the first ten months of this year, capital worth VNĐ2 trillion was disbursed. This figure for the whole year is estimated to reach VNĐ2.6 trillion, equivalent to 74.3 per cent of the yearly plan. In the last two months of this year, the Management Boards of Thừa Thiên-Huế IPs and EZs will give licences to four more projects with total registered capital of VNĐ6.5 trillion. They comprise the Đăng Kim Long Thừa Thiên - Huế tourism service complex invested by Đăng Kim Long Co Ltd, with registered capital of VNĐ3.7 trillion; the expansion project of the Mediterranean Legend Resort owned by Vicoland Development & Construction Group JSC, with registered capital of VNĐ1.8 trillion; the urban area and tourism project backed by Vinaconex’s Infrastructure Development and Investment Construction JSC, with registered capital of VNĐ908 billion; and a project producing textile raw materials financed by Song Thiên Long Co Ltd, with registered capital of VNĐ37 billion. 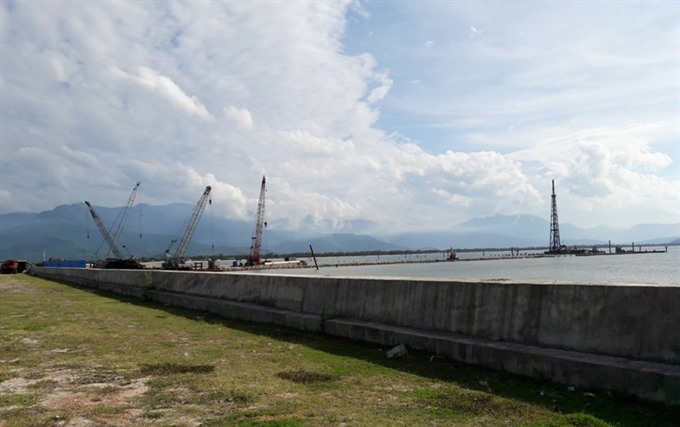 The Chân Mây – Lăng Cô Economic Zone in Thừa Thiên – Huế province has so far attracted 43 projects with total investment of nearly VNĐ40 trillion. Among them is the second phase of the Laguna eco-tourism site, worth some $1.1 billion, developed by Singapore’s Banyan Tree Group and a consortium of others run by the Saigon Investment Group and the Việt Nam National Oil and Gas Group. 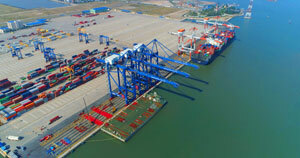 Another is Chân Mây Port’s Wharf No 2 project backed by Chân Mây Port Joint Stock Company with registered capital of VNĐ849 billion, spanning an area of ​​14ha. Construction of the wharf will begin in February 2018. In September 2018, Chân Mây Port’s Wharf No 3 will be set up by the Hào Hưng Huế One Member Limited Liability Company. It is expected that by 2020, Chân Mây Port will have a total of three wharfs, enabling it to serve large cruises and accommodate vessels of up to 50,000 DWT (deadweight tonnage). Chân Mây Port is located between the two largest cities in the central region – Huế and Đà Nẵng. 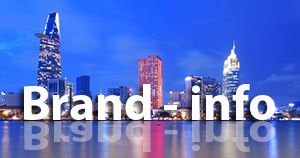 The port also lies on the main sea route linking Singapore, the Philippines, Hong Kong (China) and Việt Nam. It is among 46 seaports in Southeast Asia selected by the Asia Cruise Association as a stopover for cruise ships. The port can now accommodate vessel of up to 30,000 DWT and cruise ships carrying 3,000-4,000 passengers each. In 2018, the Management Board of Chân Mây - Lăng Cô Economic Zone will strive to lure investment into 18 new projects in the fields of industry, tourism, infrastructure of industrial parks, non-tariff areas and urban areas, with total estimated capital of VNĐ5 trillion. Thừa Thiên – Huế Province will manage to increase the occupancy rate of Chân Mây - Lăng Cô EZ to 32 per cent in 2018. In order to support businesses in attracting investment, the Management Board of Chân Mây - Lăng Cô EZ has focused on creating favourable conditions and removing difficulties and obstacles for investors in order to make sure that the projects are implemented on schedule. For large projects, the board has set up working groups, in co-operation with the investor, local People’s Committee and related departments and agencies to quickly resolve issues arising in site clearance.